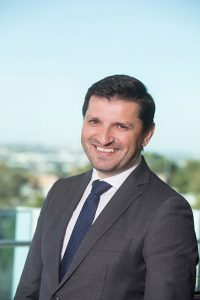 Vlado Perkovic is Executive Director of The George Institute, Australia and has been in this role since 2011, having originally joined the Institute in 2005. He is also Professor of Medicine at UNSW Sydney, and a Staff Specialist in Nephrology at the Royal North Shore Hospital. His research focus is on preventing the development and progression of kidney disease and its complications. He serves on the Board of George Clinical, the clinical trials arm of The George Institute and is a member of the Australian National Health and Medical Research Council Principal Committee on Research Translation; Chair of the International Society of Nephrology Advancing Clinical Trials (ISN-ACT) group; and is a Fellow of the Royal Australasian College of Physicians, the Australian Academy of Health and Medical Sciences, and of the American Society of Nephrology.